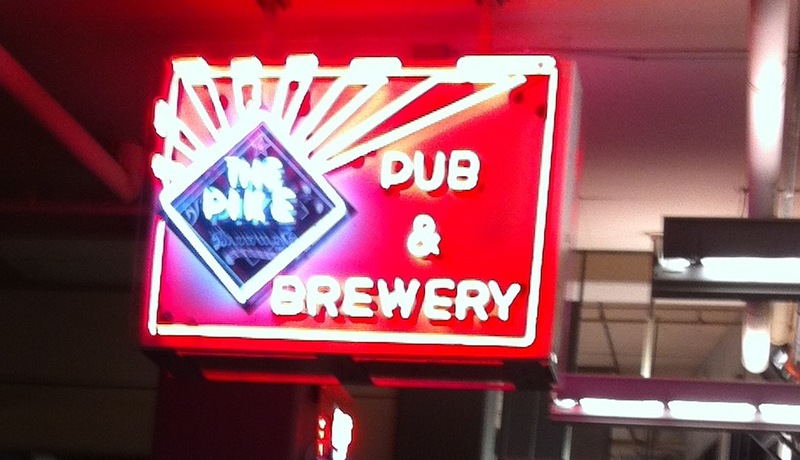 I just got back from a ‘tweet-up’ tonight at the Pike Pub & Brewery. It was an interesting concept of gathering folks who use twitter to share and learn from each other. Many thanks to Greg Bamford for organizing this event tonight. I still consider myself a neophyte when it comes to twitter, but in the year that I started, I’ve met incredible people, had new opportunities, and learned a lot. When I say that I’ve met people – I mean physically. And tonight was another opportunity to turn my virtual learning network into a more personal one. Using twitter, you often see a small thumbnail of someone’s face, but meeting them in person is so much better. The only downside is that they live in Illinois, Arizona, North Carolina, and other states. Where is the school with educators that are this engaged in leading the change efforts? I couldn’t help but think, wouldn’t it be great to have a school with all these educators working in the same place? I’m not ready to start my own school, but I’m ready to dream. And if you think twitter is for the young, you are completely wrong. Twitter is for all ages and is simply a mindset. Sign up and try it for 21 days. I promise you, you will learn something. This year’s PNAIS fall conference was an exciting one for me. As a member of the planning committee, a presenter, an attendee, and an exhibitor, it was quite the juggling act to wear all these hats. I did learn a lot and had a great time doing so. It was held at The Overlake School which has a beautiful campus in Redmond, WA. There was a lot of discussion over the keynote: Sal Khan. His TED talk is at the bottom of this post. Some were intrigued, others inspired, some puzzled, and others were left shaking their heads. I learned that when educators leave having to grapple with many questions, rich discussions often emerge. I learned that I can continue to meet people face to face that I’ve only tweeted with before and make new virtual colleagues that I will no doubt meet in the near future. I learned that many people have never heard of an edcamp or ‘unconference’ before which is going to make co-organizing it a lot of fun (I’ll post more on that in a few weeks). I learned a lot about change. Teachers were validated by the closing keynote, TJ Vasser, one of the first African Americans to attend the same high school Bill Gates attended, talk about social change – And that social change happens because of teachers. I learned I could get over my fear of public speaking. I learned I could adapt. I started out preparing a presentation about using social media to network and learn, and instead realized that in order to learn one really has to embrace uncertainty. I learned that in order to inspire ‘life long learners’ you have to be one yourself. I learned that starting to serve on an accreditation team the Sunday after the fall conference on a week that ends with parent conferences may have been a bit ambitious. Learning can be rejuvenating and inspiring. I am looking forward to more opportunities to learn this year. I’m just about done putting together a presentation for one of the sessions in our regional annual conference at the end of this week. Topic: Sharing why I blog and why I am beginning to use social media to learn more about education, teaching, and myself. One of the main reasons I blog is to learn more about social media. Whether twitter or wordpress will be around in 10 years is hard to say, but social media and blogging are not going to go away. Like it or not, kids are going to have to find ways to use it responsibly and avoid pitfalls like cyber-bullying, or being glued to a screen. How can we teach these things, if we’re not doing so ourselves, and finding ways to use these tools productively? As I was working on my presentation, I came across a great blog post by a superintendent in West Vancouver who talked about the need for more school leaders to use social media. He also highlights all the principals in his district embracing the idea of blogging with links to theirs. You can read more at his blog here. I stumbled upon the above post while reading a blog I enjoy a lot called Connected Principals. It’s a group blog written by many principals (both independent and public) who reflect, tell stories, and try to model the changes happening in the world so they can learn alongside their community. The post had a very provocative title: The Power to Kill Innovation. It was Canadian Thanksgiving last night, and after a decade of American Thanksgivings, it just seems so early. Nonetheless, I’m very grateful that I work in a school that has allowed me to take these risks, make mistakes, and celebrate successes in my pursuit to learn and model what I teach.